Scientists at The Scripps Research Institute have developed a small molecule-based RNA-editing tool that can selectively delete RNA targets associated with diseases such as cancer. 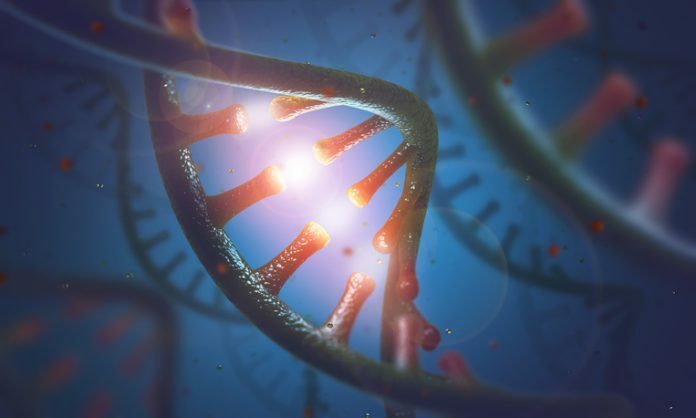 Offering a potential alternative to CRISPR-Cas9–based tools that edit DNA, the new technology, developed by Matthew D. Disney, Ph.D., attaches an RNA-targeting, drug-like molecule to an RNA-degrading enzyme. Because the technology uses small molecules rather than proteins, it could also feasibly be packaged into a convenient oral pill. While only about 2% of the genome encodes proteins, 70% to 80% of the genome is transcribed into RNA, and this offers up potentially far greater numbers of targets. However, RNAs have traditionally been considered largely undruggable because of their small size and lack of stability. The Disney laboratory has developed a computational method, Inforna, that can match small, drug-like molecules with small, stable RNA-binding partners. This technology led to the development in 2016 of Targaprimir-96, which selectively binds with miRNA-96, a miRNA oncogene that promotes cancer cell proliferation in cancer, including hard-to-treat triple-negative breast cancer. For their initial tests with the new small-molecule RNA-targeting technology, Disney’s laboratory combined Targaprimir-96 with RNase L as the RNA-degrading enzyme. RNase L is produced in small amounts by all cells as part of the human antiviral immune response and is upregulated to target viral RNAs during an infection. “A small molecule that selectively binds the oncogenic microRNA(miR)-96 hairpin precursor was appended with a short 2'-5′ poly(A) oligonucleotide,” the team explains. When applied to cancer cells, the RNA-targeting complex effectively destroyed the target oncogenic miRNA-96 molecule. “The conjugate locally activated endogenous, latent ribonuclease (RNase L), which selectively cleaved the miR-96 precursor in cancer cells in a catalytic and sub-stoichiometric fashion,” they wrote. Destroying the miRNA-96 effectively unblocked repression of the transcription factor FOXO1, which triggered the triple-negative breast cancer cells to self destruct. “Silencing miR-96 derepressed pro-apoptotic FOXO1 transcription factor, triggering apoptosis in breast cancer, but not healthy breast cells,” the authors write. “Anchoring our previous work with Targaprimir-96 to the targeted recruitment of RNase L, we were able to program the RIBOTACs approach to only degrade cells that highly express the miRNA-96 oncogene, thus allowing FOXO1 to signal the selective destruction of triple-negative breast cancer cells,” comments Matthew G. Costales, a graduate student in the Disney lab, and first author of the team’s published paper. “These results demonstrate that small molecules can be programmed to selectively cleave RNA via nuclease recruitment and has broad implications,” the authors conclude.